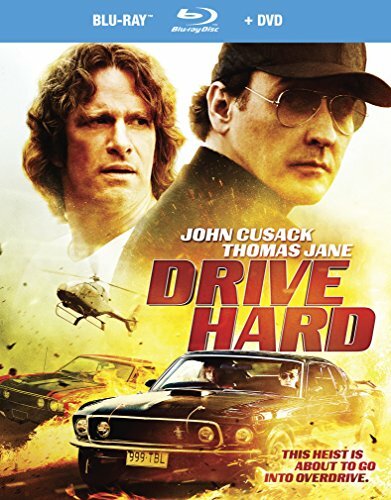 LOS ANGELES - Image Entertainment, an RLJ Entertainment (NASDAQ: RLJE) brand, announces the DVD and Blu-ray release of the action/adventure film Drive Hard . Directed by Brian Trenchard-Smith (BMX Bandits), the film stars John Cusack (Grosse Pointe Blank) and Thomas Jane (The Mist). Drive Hard will be available on DVD for an SRP of $29.96 and on Blu-ray/DVD combo for an SRP of $34.97 on November 11, 2014. RLJ Entertainment, Inc.(NASDAQ: RLJE) is a premier independent owner, developer, licensee and distributor of entertainment content and programming in primarily North America, the United Kingdom and Australia with over 5,300 exclusive titles. RLJE is a leader in numerous genres via its owned and distributed brands such as Acorn (British TV), Image (feature films, stand-up comedy), One Village (urban), Acacia (fitness), Athena (documentaries) and Madacy (gift sets). These titles are distributed in multiple formats including broadcast television (including satellite and cable), theatrical and non-theatrical, DVD, Blu-Ray, digital download and digital streaming. Via its relationship with Agatha Christie Limited, a company that RLJE owns 64% of, RLJE manages the intellectual property and publishing rights to some of the greatest works of mystery fiction, including stories of the iconic sleuths Miss Marple and Poirot. RLJE also owns all rights to the hit UK mystery series Foyle�s War.